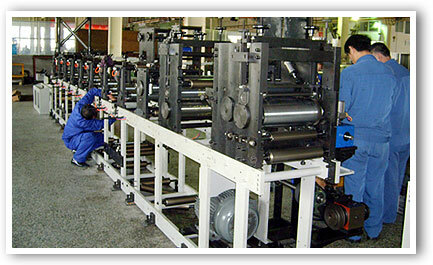 The most common printing process in current use is offset printing. Today’s businesses, including prinitng companies, publishers and newspapers, depend on the consistent reliability of offset printing. This method is even more impressive when combined with new advances in lithographic techniques. The process used in offset printing is simple – water and ink are added to a cylinder, which then transfers the image to a second cylinder, called the “offset” cylinder. The “offset” cylinder is made of rubber, which allows for a smooth transfer of the ink onto whatever medium is being used. This method of printing gives the final product a crisp clear appearance. One of the impressive things about offset printing is that there are a variety of mediums onto which you can transfer images. Paper is just one of the many materials that can be used. Other materials that are often used in offset printing include rubber, plastic, fabric or wood. Quality images can even be applied to leather and metal using offset printing. At ZRHPrint, we're are the offset printing experts, delivering high quality and great value. Offset printing is ideal when you need large quantities and/or flexible color, paper and sizing options. It’s also an excellent choice for packaging Boxes, letterhead and annual reports. Our offset presses handle projects as small as 3x5 inches and as large as 12x18 inches. In addition, we can accommodate large printing jobs up to 25,000 impressions. Have a job larger than that? Give us a call, and we’ll help you get it done quickly and affordably. "We understand that the only constant thing in our industry is change. As a result, we are constantly flexing for our customers or accommodating their ever-changing needs. That often means completing large, detailed projects at last moments notice. We understands this and they understand that a call from us most likely means a rush order and they have never failed to deliver, even on our most obscure requests. ZRHPrint is a strategic partner whose simple mantra, how many do you need and when do you need it, has helped us develop long lasting relationships with our customers."